This summer seems to be going by in a blink. I've been busy creating, completing professional development, attending conferences, moving classrooms (twice), and playing on vacation. 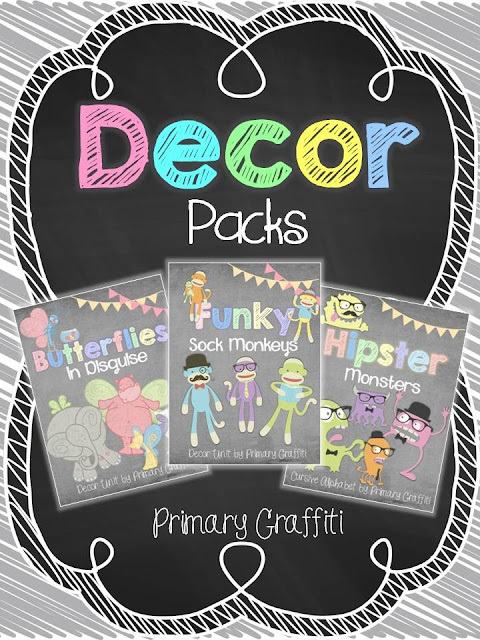 I created three new decor packs. 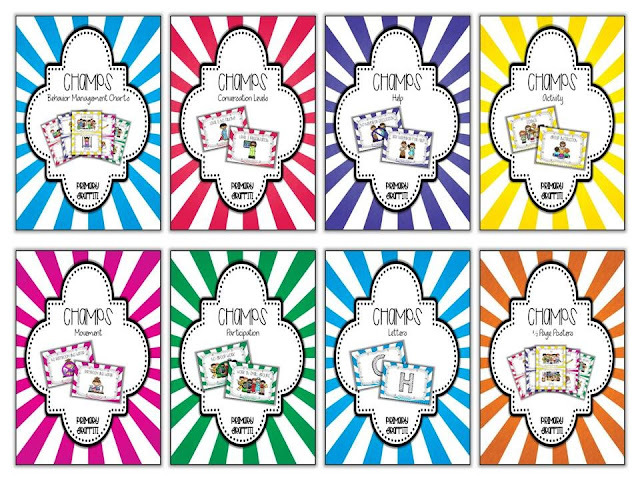 The whimsical decor packs are sure to add a bit of fun to any classroom. I'm planning a Butterflies in Disguise year for myself! I have tons of visuals on my blog in separate blog post: (Butterflies in Disguise), (Funky Sock Monkeys), and (Hipster Monsters). Links embedded in each of the parentheses. The image below will route you to my store where you can also pick up freebies for each decor set. Speaking of freebies, did you catch my Seven Habits Posters? They are bright, fun, and sure to inspire the kiddos when learning of the Seven Oaks! I updated a few files this summer. 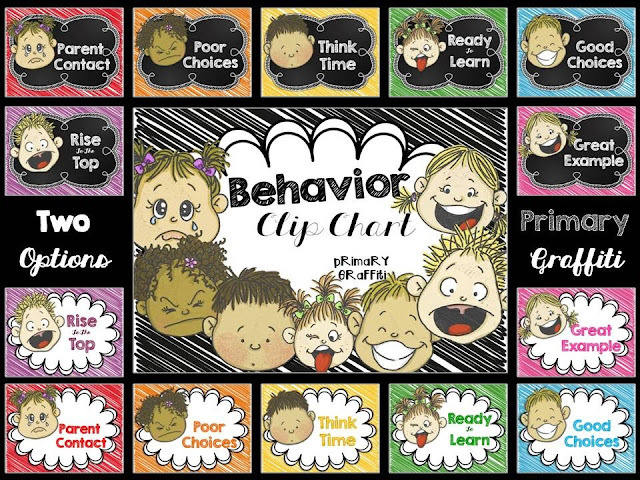 If you've already purchased my Behavior Clip Chart, CHAMPS, and Picture Job Cards, you can redownload the files! I also created a few new files! The two newest are my Classroom Door Hangers and Bucket Filler Display. I'm in love with both these files!!! There is sooo much happening in this post! I'd love to giveaway a unit to three people. All I ask is pin the picture of the unit you'd like (Pin-it to Win-it). Copy the link to your pin in the comments below. I will use a random generator here on Friday for the winners. Don't forget an email! I like the bucket fillers unit! Everything looks great! I think we all love the bucket fillers!! :) So cute!! 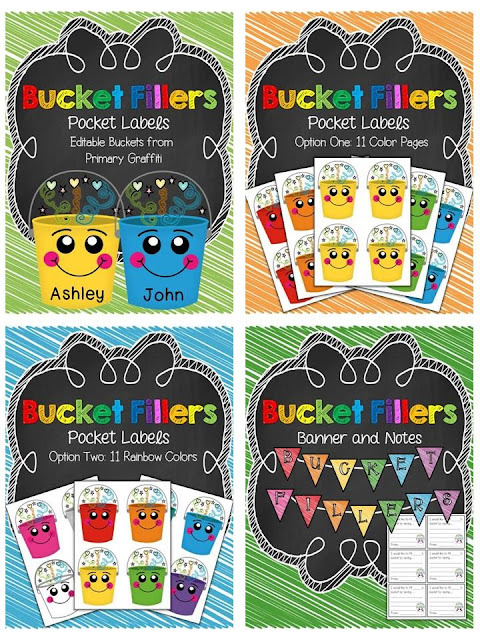 http://pinterest.com/pin/20195898301994223/ I would love the Bucket Filler Unit!! 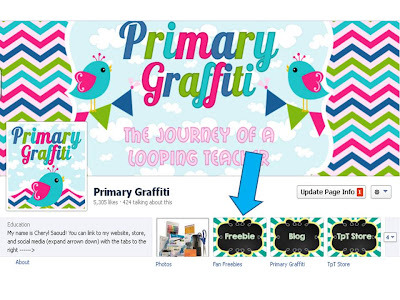 http://pinterest.com/pin/28006828905929436/ I love the Bucket Filler unit. Our school focuses a lot on being a bucket filler. 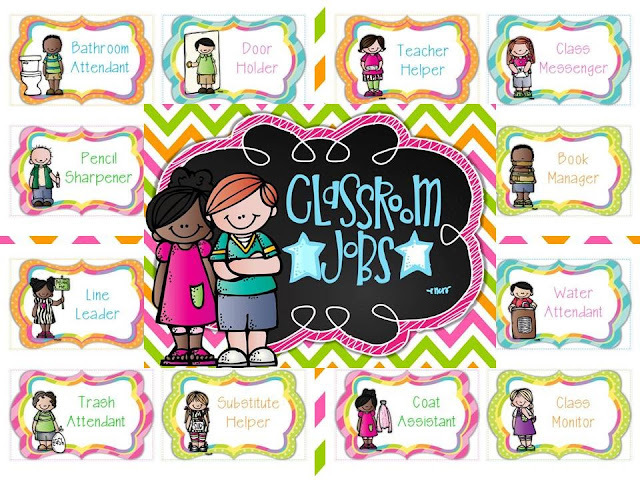 I could use a new classroom helpers set so I pinned it! 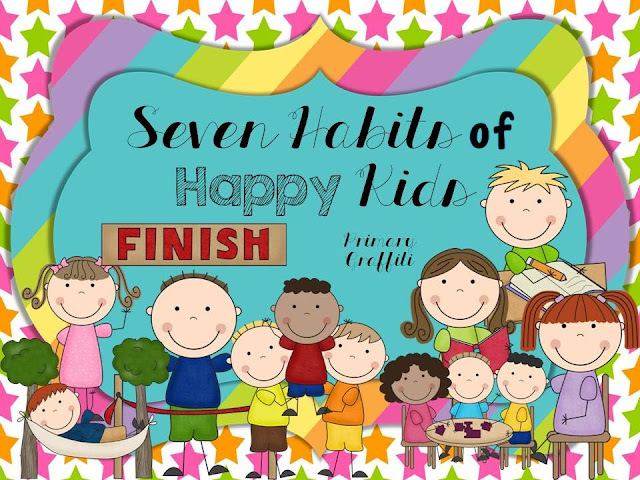 I just downloaded the Seven Habits of Happy Kids... Very cute! Thanks for sharing your great creations! I'm a beginning blogger but I would love if you had time to check out my site! Decor Galore: Get Your Decorating On! 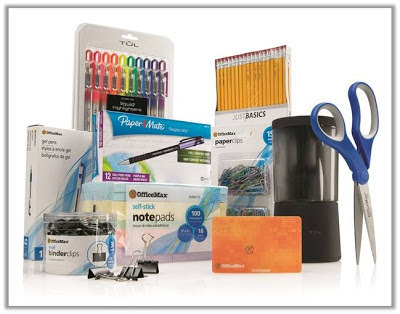 Do You Use Take-Home Readers? New Design and a New Way to Follow!